Mr. Fox is surrounded, and he's going to have to come up with a truly fantastic plan to dig himself out of trouble this time. This is a short, not-so-tame, absolutely hilarious children's story about how Fantastic Mr Fox outfoxes a trio of fox-hungry farmers. 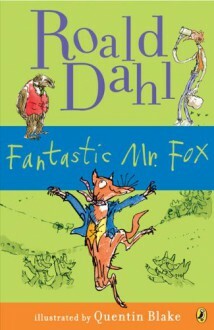 The illustrations by Quentin Blake add to the quirky humour of the story. I couldn't believe how gruesome this story was, but it was enjoyable. If you're getting this for your kids though, I would suggest that you wait until they are at least in 4th or 5th grade.